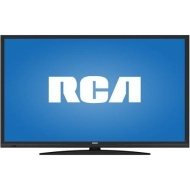 alaTest has collected and analyzed 37 reviews of RCA LRK28G30RQD 28" 720p 60Hz LED HDTV/DVD Combo with ROKU Streaming. The average rating for this product is 4.5/5, compared to an average rating of 4.6/5 for other products in the same category for all reviews. Reviewers are impressed by the durability and sound. The price and usability are also mentioned favorably. We analyzed user and expert ratings, product age and more factors. Compared to other products in the same category the RCA LRK28G30RQD 28" 720p 60Hz LED HDTV/DVD Combo with ROKU Streaming is awarded an overall alaScore™ of 89/100 = Very good quality. This is a great tv at a great price. I watch Netflix a lot on my laptop and now i can watch it on a bigger screen since Roku is built right in. Very easy setup and sign on. You will not go wrong making this a bedroom TV. DURING SETUP, roku TAKES OVER THE TV. TOOK OVER AN HOUR AND 3 CALLS FOR TECH HELP TO GET RID OF ROKU SO I COULD JUST SIMPLY WATCH MY NEW TV. IT PERFORMS WELL NOW. I hung this TV in my shop on a wall mounting bracket. It is very light weight, good color, easy to hang and set up was a breeze. I especially like the side angle viewing while I'm moving around. Screen size do not make any sense...the available ratio do not help, the WIDE takes away 25% of the picture, and so on with the Cinema , zoon and with Normal you get a little picture in the middle of the screen...so the inches of the TV is just a number. this was just what I was looking for to replace a tv on the patio for the grand kids. The Roku streaming stick was a plus along with the built in Dvd player. Perfect entertainment for all. Great value from aknown brand. After reading many reviews we chose this tv because of its size, the built in wifi and Roku, and all of the positive reviews. We have been very pleased with this tv. It is well worth the price we paid!